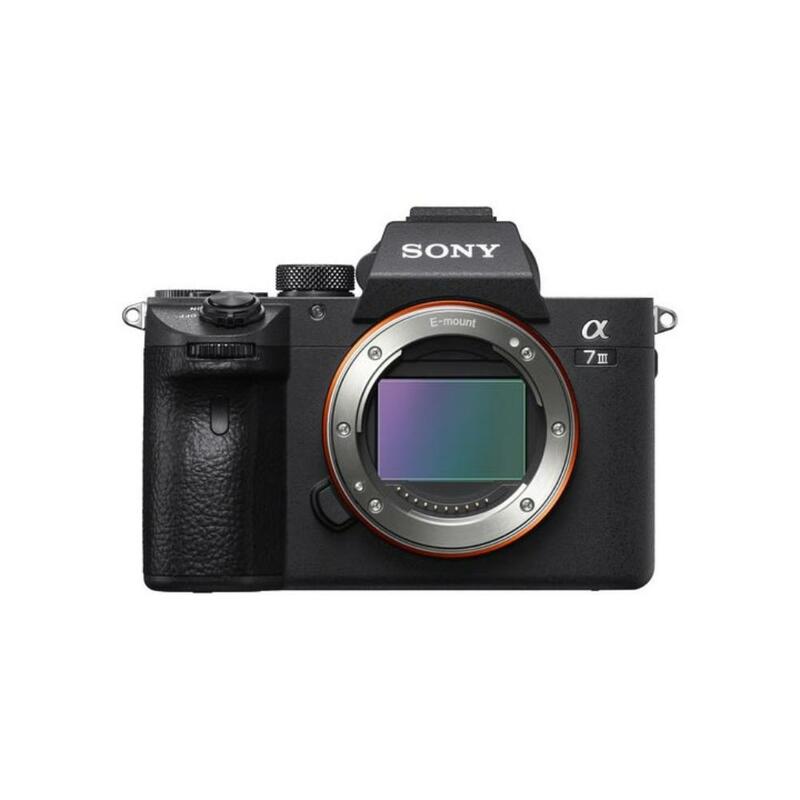 The Sony Alpha a7 III Mirrorless Digital Camera blends features from the a7R III and the a7S II to make a well-rounded camera that's a huge upgrade from the original a7 and even the a7 II. The back-illuminated sensor and image processor have been refined for improved speed and low light performance, with data processing capabilities that are 1.8x higher than its predecessor. ISO range has been increased and is expandable from 50-204,800 for stills (and 100-102,400 for video). Enjoy approximately 15 stops of dynamic range with exceptionally smooth gradations from shadows to highlights. Color reproduction has also been enhanced, with more natural true-to-life renderings and realistic hues. 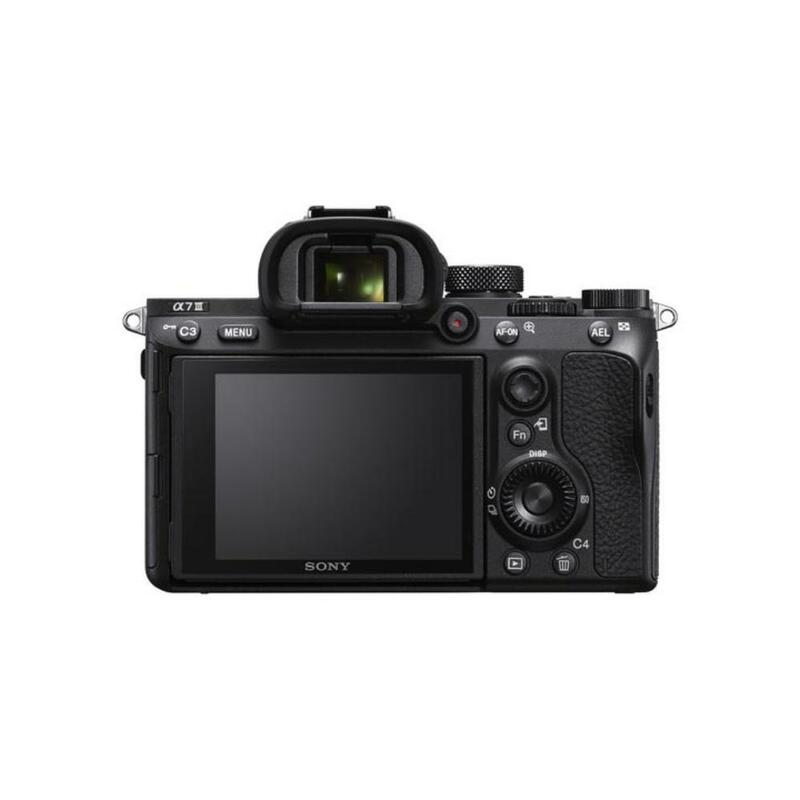 Like with the flagship a9 and the a7R III, the a7 III has 5-axis image stabilization. 4D Focus provides stunning AF coverage with 693 phase-detection points covering 93% of the image area, along with 425 densely-positioned contact-detection points. This is the same AF system found in the a9 and both cameras excel at tracking moving subjects, particularly for difficult depth movements where subjects are coming toward you or moving away from you. 4D Focus also predicts your subject's next move and won't lose tracking even when obstacles enter the frame. For a smaller body that also features 4D Focus, check out the a6500. The a7 III takes tracking to the next level with Eye AF that can now be used in AF-C mode. Enjoy effective eye detection and tracking performance when shooting portraits and candids. For videographers, the a7 III is equipped with S-Log3 and Hybrid Log-Gamma picture profiles, which support high dynamic range, help prevent blocked shadows or blown highlights, and create instant, lifelike footage. 4K recording is available in the XAVC S format at bitrates as high as 100Mbps and Fast Hybrid AF locks onto and smoothly tracks moving subjects. Ergonomically, the touchscreen LCD is intuitive and offers easy focus point control. A number of enhanced weather sealing points makes the body dust and moisture proof. For those using the latest SD cards, one of the slots supports UHS-II while a USB 3.1 Type-C port has been added for faster tethering support – a great feature for studio shooters. The Sony a7 III is ideal for multimedia artists, travel shooters, hybrid work for events, sports and wildlife photography, and low light work. It is the perfect "all around" camera for any subject. 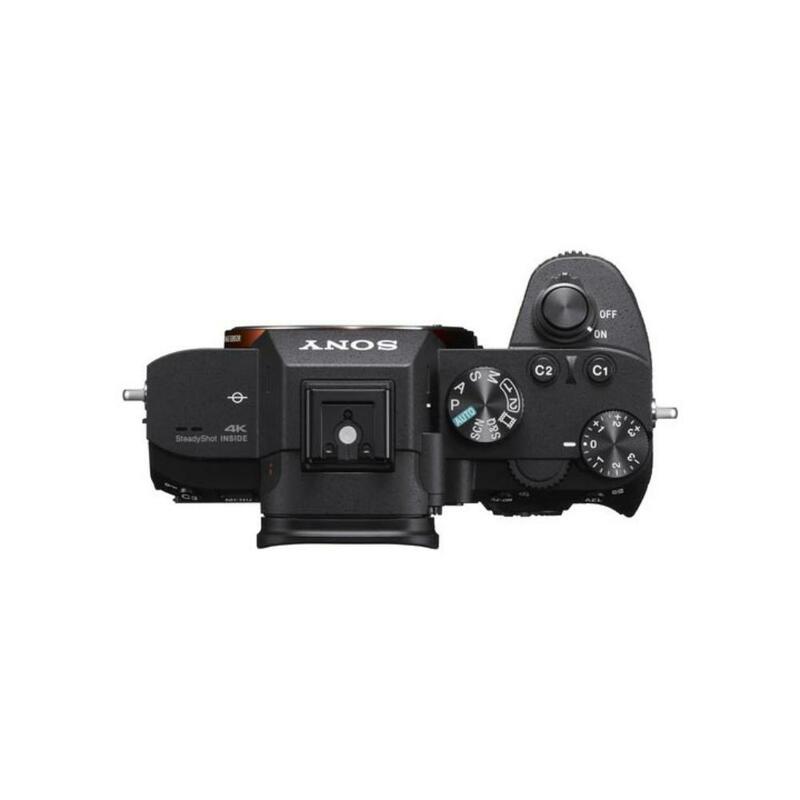 • The a7 III is a full frame E mount camera but is fully compatible with crop frame E mount lenses when the camera is in APS-C crop mode. • We make every attempt to have a fully charged battery for you but we can’t guarantee it 100%. If you need a fully charged battery, please request it via the order notes. Battery life is approximately 115-200 minutes during continuous movie capture or around 610-710 still frames. Battery takes about 285 minutes to charge.